Will the Pilot earpiece be the real-life universal translator we've always wanted? The universal translator has long been a piece of technology present in sci-fi shows, the most memorable one being Star Trek. Now, thanks to New York-based startup Waverly Labs, a real-life version is making its way onto crowdfunding site Indiegogo next week. 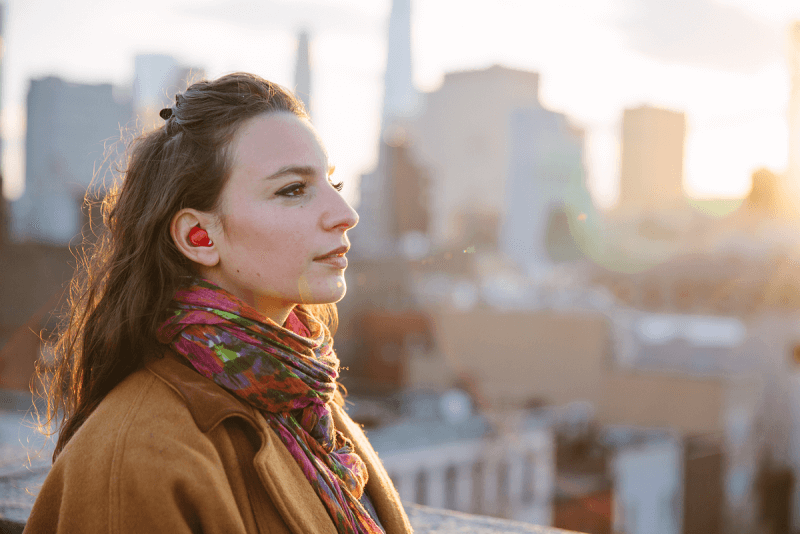 Dubbed the Pilot, the earpieces provide an almost real-time translation of one language into another. Working in conjunction with the smartphone app, each person wears a device that outputs the translated speech directly into the ear. The Pilot picks up a user’s voice with the built-in microphone and sends it, via Bluetooth, back to the app where it is translated into a selected language. The audio is then sent to a second person’s earpiece, enabling a full, albeit slightly stilted, conversation to take place. Upon launch, the Pilot will be able to translate English into French, Spanish, and Italian, and vice versa, with more languages becoming available at a later date - though anyone who doesn’t pre-order will have to pay extra for them. Other technical details about the Pilot are a little sparse right now, but more may be revealed when its crowdfunding campaign kicks off on May 25. Fans of the excellent The Hitchhiker’s Guide to the Galaxy may find the Pilot brings to mind the Babel Fish featured in the novels – an animal placed in the ear that feeds on the brainwaves of those around it and excretes a telepathic translation of alien languages into the brain of the wearer. While the demo video does look impressive, we’re still not at the stage where languages can be translated in total real-time. With the Pilot, there is a small delay between the moment something is spoken and when the translated version arrives in a person’s ear. Comparisons with translation services such as Google Translate and Skype Translator are inevitable, but the privacy, easy of use, and accuracy offered by the earpieces could make the Pilot stand out next to its rivals. The Pilot will be available for $129 as an early bird special; the final retail price is expected to be $249 - $299. It includes two Pilot devices, one for each person in a conversation, but speaking directly into the phone app will also send translated speech to an earpiece. Waverly Labs’ product may not be cheap, but here’s hoping it turns out to be worth the price and is the saviour of monoglots traveling abroad. Check out the video below to see the Pilot in action.